My piano playing has improved. I have advanced from the children’s books to the adult ones. I have begun to play the black keys and the white keys in the same song. I have learned a couple chords, and I have even begun to use the pedals, well, one of them anyway (more on that in another column). But I have no illusions that I will ever be good. This isn’t false modesty. For one, I simply don’t, and probably never will, devote much time to playing. I sit at the keyboard every day and work through various songs, but I spend nothing like the hours that would be needed to truly learn the instrument. For another, even if I did practice several hours a day, I don’t have much musical talent. I think and feel in words rather than notes, linguistically rather than melodically. It’s not that I don’t want to be good. Of course, I do. But, knowing that I never will be, why do I continue? Why am I wasting my time? The answer, for me, is simple; it gives me pleasure. The question surprises some of them because A) it seems kind of like a jerky thing to ask B) it’s too hypothetical; of course, they’re good or they wouldn’t be there and C) of course, they would quit if they absolutely knew they weren’t “good” or rather “good enough.” After all, isn’t that the point of being there? My concern with the concept of “being good” is how it plays out in a common narrative in the arts. A person is talented, but they’re told by someone – a critic, teacher, director, coach, lover – that they’re not good enough – that they have the wrong body type or they’re interested in the wrong music — nevertheless they persevere, and they triumph. They get a record deal, nail the audition, win an Oscar. It’s a common pop cultural narrative, perhaps the archetypal one, and I find myself not just ambivalent about it, but increasingly irritated by it. Although the narrative is about overcoming obstacles and believing in yourself no matter what people say, it also insists that, ultimately, success is what validates commitment. You prove you’re good by “making it” (which still seems to suggest that you’re good when others say you are). A corollary seems to be that something is only worth dedicating yourself to if you are good at it. It’s not that I don’t believe in good and bad work – I do (and perhaps that’s a subject for a later column as well) – but I don’t believe it’s relevant for certain activities and certain choices. I suspect we deny ourselves enjoyable experiences because we’re concerned with being “good.” We might not cook a particular dish because it won’t be as “good” as a restaurant. We might not draw or paint or dance or throw a ball around or play an instrument. And one story I want to encounter — Someone wants to be a singer or musician or actor, and people tell him that he isn’t any good and never will be. But, he does it anyway and keeps doing it, and it turns out that people were right, he’s not any good, and he never becomes good. At the end, he has “wasted” much of his life doing something that gave him pleasure. The fool. 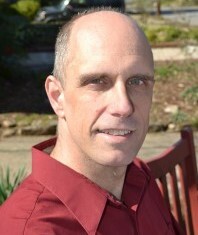 A professor at the University of North Carolina School of the Arts, Joseph Mills holds an endowed chair, the Susan Burress Wall Distinguished Professorship in the Humanities. He has published five collections of poetry, including This Miraculous Turning and Angels, Thieves, and Winemakers (2nd edition). Although he has achieved awards and acclaim for his work, no one, not even the most sympathetic and pitying, would praise the way he blunders through “Amazing Grace” or rudimentary piano pieces. Nonetheless, in his middle age, he has decided to learn piano, and he suspects that it has begun to change his life in unanticipated ways. This is great Joe. It’s strange how artistic pursuit requires so much courage and conversation with oneself to keep producing it. But as I consider this now, I realize many professions are the same, sales, teaching, social work, medicine, law, anything that involves facing down objection to our ideas and so many other types of adversities. I guess when we really bring ourselves–our values, our creativity, our intelligence, our hopes–to situations, we feel all that is riding on us. Your essay is an important reminder for us to bring it back to the right place.